Our nails are little more than hardened extensions of the skin. In fact, our skin, nails, and hair all contain the fibrous structural protein, keratin. Keratin, as a vital compound, protects our hair and skin. The hardened outer layer of fingernails and toenails is called alpha-keratin, damage to which could potentially indicate a health problem. Fingernail health and bodily health are inclusive, in other words. So if you want to know how your health is holding up, take a close look at your fingernail health. But don’t worry, we’re going to tell you how! 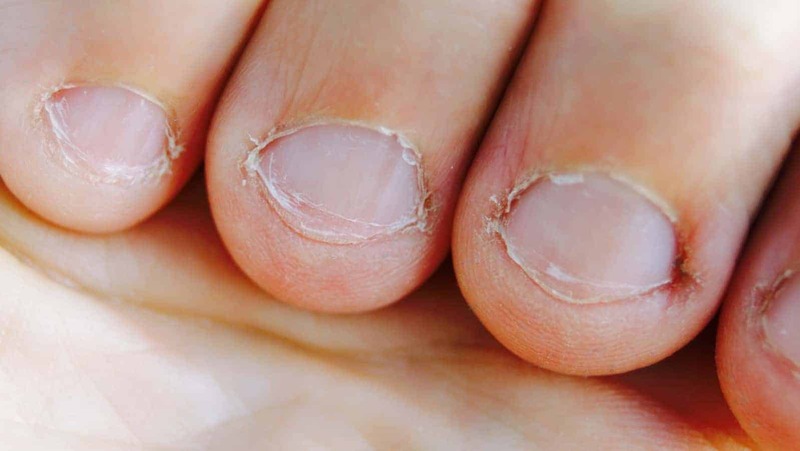 In this article, we are going to discuss eight potential warning signs from your fingernails never to ignore. Let’s go! 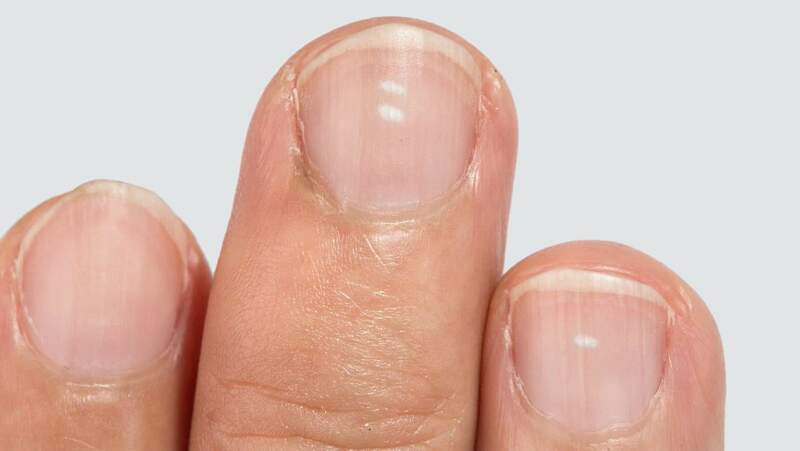 Concave (Spoon) fingernails are linked to a number of internal health problems. While most healthy nails are rather thin and curve upwards, giving nails that naturally rounded appearance, concave nails are curved inwards. Concave nails can link to various health conditions, including the liver disorder hemochromatosis, where the liver absorbs too much iron. Other possible health issues include cardiovascular disease, anemia (iron deficiency), and hypothyroidism. In contrast with healthy nails, the appearance of clubbed nails is the most striking. They appear almost bulbish with bright white pigmentation. Clubbed nails form when the skin underneath the nail rises, forcing the nail to swell. Clubbed nails have been linked to severe disorders such as AIDS, inflammatory bowel disease, liver disease, and lung disease. Bluish nails may indicate a low blood oxygen level in the body. Green-yellowish nails signal a possible bacterial infection. Red streaks found in the nail could be a sign of a heart valve problem. White nails with no pink pigmentation could be a symptom of liver disease. White streaks in the nail may indicate a kidney problem. Nails that are cracked, dry or brittle are typically the result of either a bacterial infection or a hormonal imbalance. Thyroid disorders can cause dry and brittle fingernails that often split or crack. Fungal infection of the nails – a condition that affects around 12 percent of Americans – can cause the nail to become powder-like as well. Alopecia areata, a disorder of the immune system resulting in hair loss. Nutrient deficiencies, including vitamin C, folic acid, and protein. The proximal nail fold is located immediately outside of the nail cuticle. If you hold your index finger straight (like if you’re pointing at something) and look from the side, you’ll see the surface of the finger rises where the nail bed ends. This is the proximal nail fold. Proximal inflammation of the nail fold can indicate a connective tissue disorder such as lupus. Skin infection may also cause this fold to become irritated and inflamed. If you experience repeated health problems with your nails, you should probably seek advice from a specialist. Doctors known as dermatologists specialize in diagnosis and treatment of skin, nail, and hair conditions. The specialist should also be able to point you in the right direction in terms of treatment options, including help for any underlying condition, should one exist. Consider taking a supplement of biotin, which may strengthen brittle or weak nails. Practice good nail hygiene by using manicure tools and trimming nails straight across. Afterward, gently round the tips. Thoroughly clean and dry your nails. Neglect any obvious nail problems. See a doctor or wellness professional. Use too many chemical nail products.